At “Growth and Transition”, our participants and staff are at the heart of everything we do. From a variety of professional backgrounds, our staff is a diverse and highly qualified group of individuals who bring their unique styles to each workshop they assist. A Nationally Certified Counselor and Licensed Professional Counselor in the state of Arizona, Anne has been in private practice since 1987. Anne specializes in grief and loss, addictions, and family trauma. Anne’s earlier training was in the field of education, teaching elementary school (BSED, The University of Delaware) and parenting their two children, born in 1973 and 1975. She helped create and implement a business model for their three ice cream stores between 1979 and 1984. In 1985, Anne began staffing workshops, intensives, and training programs for Elisabeth Kubler-Ross. Additionally, Anne conducted day long seminars for several treatment centers in Tucson, Arizona and facilitated at the “Safe Harbors” workshops. In 2010, she created, in collaboration with other staff, our 3 weekend Professional Caregivers Training Program. Currently, Anne is the coordinator and co-leader of the “Growth and Transition/Grief and Loss” Workshops. 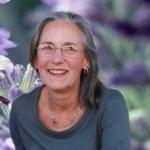 Sharon J. Burnett is a licensed Marriage and Family therapist in California, specializing in grief, loss, and trauma. With a Masters of Arts in Counseling (California State University) and a Doctor of Philosophy in Psychology (Southern CA School for Professional Studies), she has been in private practice since 1981. A member of the American Psychological Association, Sharon also serves on the Medical and Counseling Advisory Board for WeSpark Cancer Support Center. 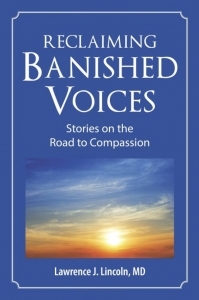 Having been trained at the Elisabeth Kubler-Ross Center, she was invited to staff “Safe Harbors” workshops, as well. Sharon joined the Growth and Transition staff in 2000, and now also leads her own workshops in Los Angeles in conjunction with her non-profit organization, West Valley Counseling Center. Pannill Taylor is a Licensed Psychologist who was Co-Director of Keystone’s Extended Care Unit from 1999 until 2004. With a Master of Counseling (University of Delaware) and a Doctorate in Psychology (Widener University), Pannill provides lectures and workshops throughout the country on sexual compulsivity and trauma. Currently in private practice in Chadds Ford, Pennsylvania, Pannill specializes in trauma, addiction, grief and loss. Along with Dan Bove, Pannill created “Restore”, a 5 day Christian men’s workshop that further extends the “G&T” model. Beth Strauss received her Master’s degree from the University of Arizona. As a Licensed Professional Counselor, Beth has a private practice in Tucson, AZ. Previously, Beth was a Home Care Social Worker for TMC’s Hospice Program. Having completed her G&T Training Program with Anne and Larry in 2011, Beth has continued to help with Externalization Workshops around the country. Natasha Korshak is a graduate of the University of Arizona, a long time teacher of Yoga, Meditation, MBSR and Mindfulness. Additionally, she is an ordained Interfaith Minister. She has worked in the field of Integrative and Complementary Health Care her entire professional life. She is the Director of The Sol Center – a teaching, training, and consulting organization in Tucson, Arizona. She was trained in the Growth and Transition workshop model by Anne and Larry in 2010. Lea Abdnor has a Masters in Social Work and works as a victim’s advocate in Boulder, Colorado. Specializing in grief and trauma work, she has also been a health care advocate for patients with chronic or terminal illness. For many years, Lea was an advocate for change with a variety of political issues in Washington, DC. She was a staff member of the Elisabeth Kubler-Ross Center. Lea is now co-leading workshops outside Denver, CO with Anne and Larry. 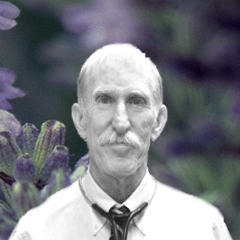 Bob Pontarelli is a Certified Life Coach (New York University) who began staffing Elisabeth Kubler-Ross’’ “Life, Death and Transition” workshops in the late ’80s. Bob also worked closely with the Jungian analyst Gregg M. Furth, assisting numerous workshops in the interpretation of spontaneous drawings. He trained with the visiting Nurse Service of New York hospice volunteer program, and was a facilitator for “Safe Harbors”. As an independent entrepreneur with successful businesses in NYC, Bob draws on more than two decades of corporate experience with The American Ballet Theatre, where he was responsible for communications, global marketing, and international media relations. Lisa is a Licensed Clinical Social Worker who studied at Bryn Mawr College, and a Marriage and Family Therapist in the state of Pennsylvania. She completed her postgraduate work at the Council for Relationships in Philadelphia. Lisa has a small private practice working with Individuals, Couples, and Groups in Chadds Ford, PA. She has facilitated various externalization workshops since she completed the Growth and Transition Training for Professional Caregivers in 2011. Erin is a licensed psychologist with a private practice in Chadds Ford, PA. She completed the Growth and Transition Training and Supervision Program for Professional Caregivers in 2011, and has frequently facilitated at the G&T Workshops in Tucson. In 2015, she was a member of the training team for the 2nd Growth and Transition Training Program. Erin and her co-leader, Lisa, run a monthly support group using externalization for former participants of the G&T Programs.